Holders Hillhead/Jordanhill bounced back from an early scare last Sunday to progress to the Sarah Beaney Cup last four. The Glasgow side were hosting Stirling County at Hughenden in the quarter-finals and it was the visitors who got off to a flyer. They were 17 points up at one stage and home head coach Aird Jardine decided to use his bench earlier than he perhaps envisaged. In the second 20 minutes Stella Kyalikunda, Dani Cormier and Emma Barlow all scored tries for Hills to get things back on track. Hannah Smith (2), Barlow, Jemma Forsyth, Amy Watkins, Lucy Mills and Mairi McDonald all went over for the home side after the break as they eventually saw off a battling County 54-22. They will play Ayr in the last four after the Millbrae side battled past Garioch in a cracking knock-out tie. Last year’s runners-up Watsonians are through to the last four once again after they beat Corstorphine 43-7 at Myreside. 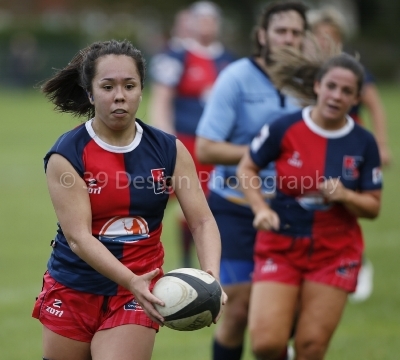 Their charge last Sunday was led by winger Charlotte Runcie who continued her good recent form with three tries. Abbie Baillie, Moly Wright, Lana Skeldon and Emma Evans also crossed while skipper Nicola Nightingale kicked eight points. The Myresiders will host Heriot’s in the semis. In the men’s game the two clubs have a long history, but this will be their first meeting in the women’s game. In their last eight tie at Howe Harlequins, Heriot’s were tested up front by the Fifers, but showed good patience and composure to win 42-8 in the end. Corstorphine, Stirling County and Heriot’s made it through to the Sarah Beaney Cup quarter-finals with victories on Sunday. However, the Goldenacre club were well served by three talented players who led the way. Former national team winger Katy Green, who also plays Touch for Scotland, ran in four tries in the 45-24 triumph while Lucy Winter and Lucy Minty, who have both been in and around the Scotland squad this season, also crossed the whitewash. Glasgow University are through to the knock-out stages of the Plate competition after they defeated Greenock Wanderers 60-5 in their final Sarah Beaney Cup pool match on Sunday. The students put in a fine performance to make sure they gained 10 points from their Pool 10 fixtures to finish second behind Annan. Hillhead/Jordanhill and Garioch made sure of their places in the Cup quarter-finals with final pool game wins. Hannah McHugh led the way with four tries while Ainsley Beaton, Emma Barlow, Felicity Syfret, Rieni Muldoon, Lucy Mills, Bex Francis, and Amanda Moore all bagged doubles. Erin Davie also went over. As a result, Garioch had to fight hard to come out on top 38-0 and win Pool 11, Alana Davidson, Courtni Fritts, Alisha Ross, Liadh Broughton, Tina McIntosh and Chloe Matthews scored tries for Garioch with Ross converting some too. Peterhead battled to a 26-22 victory over Huntly as five matches beat the weather and other obstacles in the Sarah Beaney Cup pool stages last weekend. In Pool 11, It was Peterhead’s win of the 2019 event and they worked ever so hard to get the four try bonus point. For the victors, Jennifer goldie got two tries and one conversion. Stacey Cooper and Nicola Hall got further tries and they were converted by Ellie Fyffe. In Pool 1, Ayr went to Wigtownshire and showed their quality to win 88-0. Niamh Feighan, Claire Buist, Erin Watson, Emma Mackinnon,Sheryl Wilson, Eve Irving, Phoebe Saunders and Alice Smith all scored tries for Howe. Stirling County showed that they mean business in this year’s Sarah Beaney Cup with an opening 55-0 win over Orkney Dragons at the weekend. The top flight club will fancy a trip to BT Murrayfield come the end of April and were on top form in their first outing in Pool 5. Stirling County making a break against Orkney Dragons. Image by Bryan Robertson. 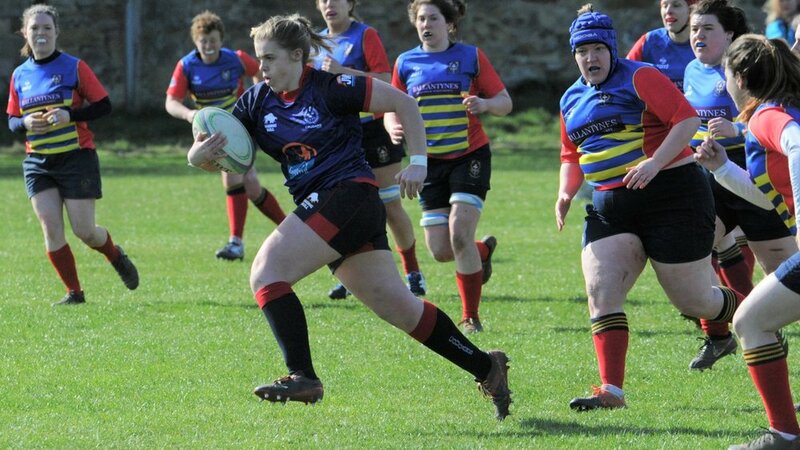 Captain Rachel Shankland led the way with four tries for County against an Orkney side who never gave up. Andrea Gaffney bagged a hat-trick with Katie McIlwraith and Lauren Hagan also crossing. Heather Davis converted four of the tries with Shankland kicking one. 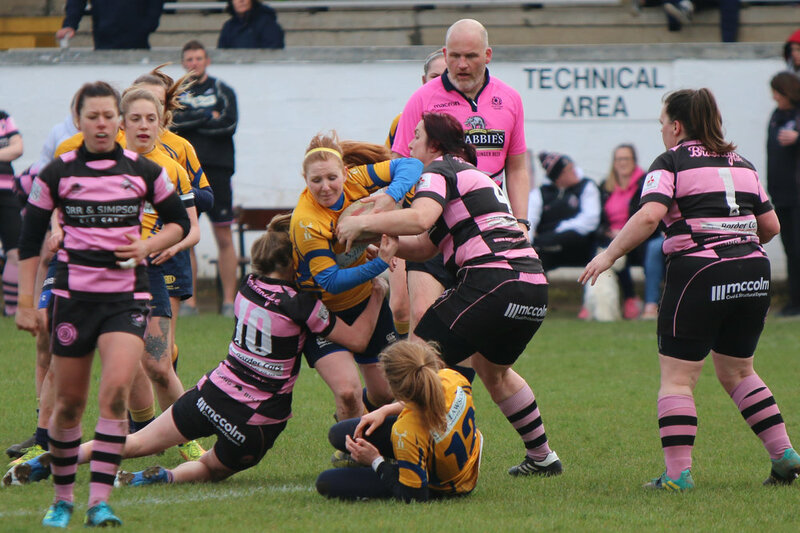 The weekend of action had started on International Women’s Day on Friday when Kirkcaldy welcomed Liberton to Fife and the home side won 37-0. Pool 9’s sole match this week took place on Saturday morning and Howe Harlequins had to really work for their early tries before they began to show their class in Cupar. In the end they saw off Stornoway 79-5 with Yvonne Graham getting a well deserved consolation try for the visitors. In Pool 2 Oban Lorne won 38-0 against West of Scotland. Erica Skofca and Sophia Rosinski both scored two tries for Oban Lorne - who had lost at Cartha in week one - as they claimed a bonus point while Laura MacCormick and Rachel MacDonald also crossed and Ellie MacNiven was on form with the boot as they came out on top. In Pool 5 Grangemouth played well on home turf to get the better of Livingston 37-5. There were seven tries scored by the Stagettes with Amber Rose Love and Rhonwyn Spence leading the way with two apiece. Elaine Acheson, Heather Innes and Kate McLeavy also crossed for them while Livingston’s try came from Hayley Moir while despite the reverse Sarah Madden was their player of the match. Given it was Livingston’s first competitive fixture they can take great heart from how they played. Kelso lost in week one to Heriot’s, but on Sunday they were at home to RDVC and were the victors 29-0. Michele Halbert opened the scoring for the Borderers before Aurora Reteau went over for a double. Louise Halliday’s try sealed the bonus point before the icing o the cake was provided by Siobhan Andrew’s try. Katie McLaren converted two tries. Shetland and Garioch both secured convincing wins in Pool 11 on Sunday. At home against Huntly, Shetland won 84-0. Shetland got out the blocks early with a try from Jennifer Thomson and soon after Aleisha Devine and Charis Scott crossed. Amongst the other scorers were Siobhán Scott-Miller, captain Katie Roe and Hedda Shannon. Huntly travelled with 15 players and showed great spirit throughout. Garioch went to Peterhead and cam out on top 81-0. In Pool 1, Biggar v Wigtownshire was postponed while in Pool 3 Stewartry were handed a 28-0 win over Hamilton. In Pool 10 Annan were handed a 28-0 victory over Stewartry while the Greenock Wanderers v Glasgow University match was off due to a waterlogged pitch. Isle of RaasayDistillery, lead sponsor of Women’s Rugby coverage on Rugby People. Two sides hit centuries in week one of Sarah Beaney Cup action for the new-look 2019 women’s season. This time around there are 11 pools and the final standings of each pool will determine whether clubs are entered into the top tier Cup, the second tier Plate or the third tier Bowl, with the draw for those competitions being made on Tuesday, March 19. In week one, Watsonians defeated Kirkcaldy 108-0 while Greenock Wanderers won 100-5 at Ardrossan Accies. There were also wins for Ayr, Cartha Queens Park, Hillhead/Jordanhill, Broughton, Heriot’s, Annan, Shetland and Garioch. Watsonians finished runners-up last year and they got their 2019 campaign off to a perfect start. In Pool 6 at Myreside with the tries being shared around. Amongst the scorers were doubles for Emma Evans, Alice King, Isla Craigie, Emily Armstrong and Panashe Muzambe. Sarah Jones, Emma Jones, Abbie Baillie, Charlotte Runcie, Judith Elliot, Shannon Macey and Chloe McCue also crossed. For Greenock in Pool 10, Hannah Mutton scored five tries, Cat Cowan scored four, Emma Grace and Caitlyn Haldane both got three, Cat Guertson two, Carolann Calderwood one and Tina Hemphill one. Elsewhere, Ayr defeated Biggar 66-0, captain Catherine Shennan leading the way with a hat-trick of tries. Jo Jones and Gemma McIvor scored two apiece while Rachael Mulholland, Erin McSorley and Lauren McBride also crossed and Shennan added a number of conversions. Cartha and Oban Lorne played out an entertaining game at Dumbreck. The hosts came on top 26-7 in the end thanks to tries from Bonnie Felatar Grimes, Melanie McDevitt, Christine Belisle and Lynsay Taylor. Sirri Topping converted three of the tries. Kirsty Sinclair scored a try for Oban Lorne in defeat. Last year’s champions Hillhead/Jordanhill were pushed all the way by Stewartry Sirens before coming out on top 34-21. Amy Watkins, Aimee Johnston, Emma Barlow (2), Reini Muldoon and Heather Lockhart scored tries for Hills at Hughenden. It was a special moment for Muldoon especially as it was her first try for the club while Lucy Mills kicked two conversions. Claire Manson was on fire for the Sirens in defeat, bagging a hat-trick of tries with Lisa Ritchie converting them all. Across Edinburgh at Wardie, Lismore battled hard, but Broughton were on top form to win 49-0. There were try hat-tricks for Megan Bell and Joanne Morgan with further tries from Ann Cooper, Cat Robertson and Stacey Donaldson. Laura Kinghorn adding the extras, slotting over two conversions. And it was the perfect end to Marta Verde’s time at Broughton before she heads back to her native Italy. Heriot’s won their first ever competitive match in Pool 8, seeing off Kelso 43-8 at Goldenacre. Lisa Robertson scored a hat-trick to lead the way with Hollie Walker, Lucy Minty, Rachael Turner and Katie Falconer also going over for tries. Ellie Wilson kicked four conversions. In Pool 10 as well as Greenock’s big win, Annan came out on top 46-29 at Glasgow University. Nicole Barlow (3), Kirsty Barlow (2), Nadine Barnes, Malvina McGeoch and Correy Clark scored tries for Annan against the students with McGeoch also adding some conversions. And in Pool 11 there were triumphs for Shetland and Garioch. Shetland won 34-5 at home to Peterhead with Garioch playing very well to defeat Huntly 72-0. Liadh Broughton scored two tries for Garioch at Kellands Park while Lorna Young (2), Rheo Laurenson (2), Jess Silcocks (2), Tina MacIntosh (2) Louise Clark and Katherine Orthmann also going over. It was fitting that the top two in the top flight - Hillhead/Jordanhill and Watsonians - ended the shortened 2018 season with one of the best games. The Glasgow side had already won the Tennent's Women's Premier League the previous week and on Sunday they were at Myreside to take on second placed Watsonians. When the two teams had played at Hughenden earlier in the campaign Hills had come out on top 40-39 - and this second meeting was just as close and exciting. With the 80 minutes up Hills were leading 25-23, but Watsonians had the ball and kept their cool to play through the phases and score a dramatic winning try through replacement Megan Maciver. 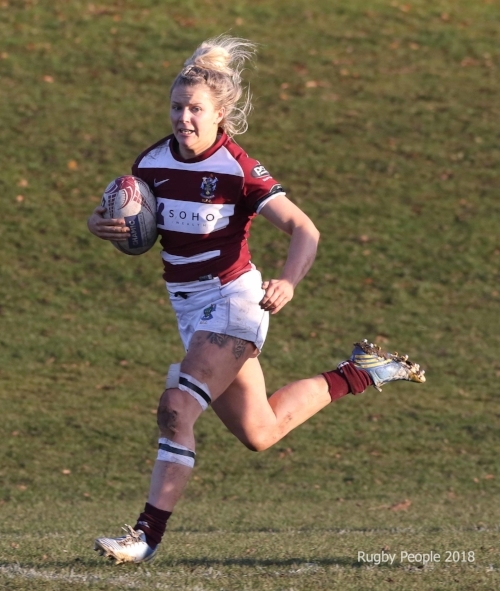 New Scotland call-up Charlotte Runcie, Emma Evans and Isla Craigie scored Watsonians other tries in their bonus point win with captain Nicola Nightingale kicking two penalties and a conversion. Scotland cap Abi Evans, Amanda Moore, Hannah McHugh and Emma Barlow all scored tries to help earn Hills two losing bonus points with Moore kicking a penalty and a conversion. After the match - which showed just how much women’s rugby in this country has improved - Hills were awarded the league trophy by Scottish Rugby representatives, skipper Louise McMillan the one lifting the silverware. Hills finished section A on 42 points with Watsonians second on 38 points. Stirling County finished things off with a 39-17 home win over Corstorphine Cougars as they ended in third and fourth respectively. Stewartry finished top of section B, a 28-13 win away at Cartha Queens Park ending their campaign on a high note. And well done to Ayr who won Tennent’s Women’s National League One and Kelso who finished top of Tennent’s Women’s National League Two. Next up in the women’s game is Scotland versus Canada at Scotstoun on Tuesday, November 27. Hillhead/Jordanhill are the top flight champions, retaining the title after they defeated Stirling County on Sunday. The Glasgow side have led the way from early on in this shortened campaign and made sure of finishing in top spot by seeing off County 29-5 at Hughenden in section A.
Captain Louise McMillan led the way with two tries with Abi Evans, Mairi McDonald and Emma Barlow crossing in the bonus point victory with Amanda Moore kicking two conversions. Hills’ coach Aird Jardine said: “Stirling again gave us a very tough test with their defence proving very difficult to break down in the first half. “However, as the game went on we kept our composure and started to play some excellent team rugby. The result leaves Hills seven points ahead of second placed Watsonians who themselves defeated Corstorphine Cougars at Union Park on the same day. New arrival Megan Gaffney led the way for Watsonians from full-back in the 58-0 triumph, the Scotland cap running in a hat-trick of tries. Sarah Jones, Nicola Nightingale, Emma Evans, Charlotte Runcie, Panashe Muzambe, Bryony Nelson and Abbie Bailie crossed for tries too with Nightingale kicking four conversions. The top flight finishes this Sunday with three games, the Watsonians against Hills clash looking the tastiest. Hillhead/Jordanhill carried on where they left off before the league split when section A of the Premier League got underway on Sunday, October 28. The Glasgow side defeated Corstorphine Cougars 63-5 in Edinburgh and they are now seven points clear at the top of the table with just two regular season fixtures remaining. It means they could clinch the title with a win next time out. Watsonians kept on their heels though with an impressive 55-0 home win over third placed Stirling County. Scotland squad members Abi Evans and Louise McMillan both scored hat-tricks for Hills at Corstorphine with Macarena Contreras running in two tries and Emma Barlow, Siobhan McMillan and Lucy Mills also crossing. After the match, their coach Aird Jardine said: “It was an excellent and confident win. In the first half some excellent rugby was played by the Hills ladies and the intensity the forwards brought let our backs take full advantage to play some brilliant rugby. 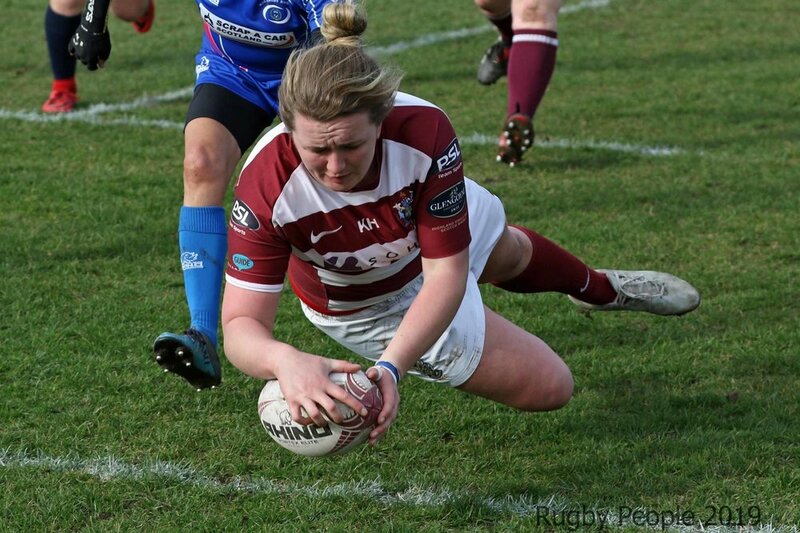 New Scotland squad member Bryony Nelson led the way with four tries for Watsonians. Ailie Tucker, Emma Evans, Alice King, Emily Cotterill and Charlotte Runcie also scored with Nicola Nightingale kicking five conversions. Coach Dave Flynn said: “A great result at home, delighted to exorcise the demons of a narrow loss at Bridgehaugh last time we played Stirling. Watsonians were pretty relentless with their physicality up front and ruthlessness in the backs to exploit the chances created. Defensively the team had improved. “A lot of the points came at the end when the game was already clearly won so the players can be proud of their perseverance and discipline across the full 80 minutes. Annan got off to the perfect start in section A by defeating Cartha Queens Park 26-7. Sisters Abbie and Correy Clark scored tries for the winners while Jane Stewart scored two and Mally McGeogh kicked the other points in a bonus point win. This weekend the domestic action takes a break for the Italy-Scotland Test match in Calvisano. Good luck to head coach Shade Munro and his charges over there. Jordanhill and Watsonians shared 79 points in a game of two halves with the Glasgow side just coming out on top. They were 33-10 up at the interval, playing some brilliant rugby in the opening 40 minutes, but Watsonians have improved since April’s Sarah Beaney Cup loss to the same opponents. They battled back amazingly well at Hughenden, eventually picking up two losing bonus points in a 40-39 reverse. After a top quality match the only downside was a number of injuries, including a dislocated elbow for Hills’ Scotland star Hannah Smith. Earlier Smith had scored four tries while Mairi Mcdonald and Amanda Moore also crossed for the top flight’s only unbeaten side who have 30 points from 30. Hills coach Aird Jardine said: “Watsonians proved to be the toughest test of the season so far. “We had worked hard throughout the weeks building to the game and this showed early on as we came away with a lead. However, with a lot of injuries occurring during the game forcing a lot of untimely changes we lost our momentum and let Watsonians back into the game. For ‘Sonians, who will begin the post-split fixtures seven points behind Hills, Bryony Nelson and Charlotte Runcie both bagged two tries apiece with Emma Evans and Rachel Bragg going over too. Skipper Nicola Nightingale kicked the rest of the points. Coach Dave Flynn said: “The game was a tale of two halves, we looked potentially dead and buried at 33-3 unless we got the next points but a try just before half time inspired the guys that they could get back into the game. “Over the match there were a lot of injury stoppages which stunted momentum at times as Hills came under further pressure though they showed effective game management to hang on and grind out a win. Stirling County also go into the top four split seven points behind Hills in third spot. On Sunday they were on fire against a spirited Cartha Queens Park, coming out on top 105-0. County skipper Rchel Shankland led the way with five tries while Megan Kennedy, Katie McIlwraith, Amy McGlashan and Heather Davis scored two apiece. Siobhan Cattigan, Katrina Rosznski, Gemma Brown and Jodie Hutton also went over. Stewartry put in a great performance to edge out Corstorphine Cougars 17-15. Donna Burnett, Ali Henderson and Phaedra Snailham scored tries for the victors with Lisa Ritchie kicking a vital conversion. Emma Turner and Rebecca Bestwick scored the Edinburgh side’s tries with Kiyomi Honjigawa kicking a penalty and a conversion in defeat. So, Hills, Watsonians, Stirling and Corstorphine will now play in the top four with Stewartry, Cartha and Annan playing in the bottom three. Meanwhile, it has been announced that, from 2019, a Heriot’s women’s team will be in the leagues although which league is still TBC. In effect they have replaced Murrayfield Wanderers. Heriot’s Ladies captain Catriona Syme, said: “We would like to thank the club for such a warm welcome. Playing here is a wonderful opportunity and we intend to make the most of the fantastic facilities available to us. The cracking rugby keeps coming in the Premier League with Stewartry bouncing back very well to defeat Annan in week six and Stirling County edging past Corstorphine Cougars. Watsonians also continued their fine recent form with a comprehensive victory at Cartha. Anan went into their home match with Stewartry on a high having recorded their first ever top flight victory seven days previously at Cartha. However, it was to the visitors’ day as they came out on top 31-10 for their first victory of the season. Claire Manson led the way with two tries for Stewartry while Donna Burnett, Ali Henderson and Iona St Joseph also crossed with Lisa Ritchie kicking three conversions. Their coach Gordon Thomson said: “The team were only too aware of the importance of the game. “The girls needed little motivation and with the return of Iona St Joseph and Lisa Ritchie from injury we fielded our strongest team this season. “We expected Annan to be strong at the breakdown, however we matched their physicality in this area and our forwards got the upper hand in the scrums, even when we went down to 14 after a yellow card offence we had opportunities to score. “We maintained a tempo in both attack through Claire Manson and in defence with centres Chloe Johnstone and Ali Henderson continually forcing Annan backwards. Abbie Clark scored both of Annan’s tries. Corstorphine got their third victory of the season by beating Stirling County 26-22. Helen Lyon, Caitlin Harvey, Gillian Inglis and Kiyomi Honjigawa scored tries to give the Edinburgh side the bonus point while the latter kicked three crucial conversions. Their coach Eric Jones said: “We always thought it would be a tough game against Stirling and it was. County took two points from the match after they scored four tries and were within four points of the victors. The tries came from Katie McIlwraith (2), Megan Kennedy and Debbie Falconer. Watsonians were in fine form at Dumbreck, coming out with a 72-7 triumph against hosts Cartha. Charlotte Runcie has been in try scoring form since she returned from injury a few weeks ago and she led the way with five tries. Bryony Nelson scored a double with Helen Blevins, Nicola Nightingale, Emma Evans, Lana Skeldon and Gemma Stoddart also getting on the scoresheet. Nightingale kicked seven conversions. Coach Dave Flynn said: “Cartha had a lot more territory in the game than the scoreline suggests, but had little to counter the pace of our backline - Charlotte Runcie and Bryony Nelson in particular out wide. “It was great to get maximum points and the big scoreline as the final league placings are likely to come down to that in the shorter season. Cartha’ try came from Ann McNeil with Sirri Topping converting. There is now one round of fixtures to go until the league split and it looks like Hills, Watsonians, Stirling County and Corstorphine Cougars will battle it out for the title post-split. The three week seven fixtures take place on October 14 with the top two - Hills and Watsonians - meeting at Hughenden. What a Sunday it was in the top flight: Annan securing their first ever Premier League win, Hillhead/Jordanhill remaining unbeaten and Watsonians posting a century. Annan knew coming up into this division would be tough and heading into the weekend’s round five action they had lost four from four. However, you certainly cannot deny their work ethic and desire to improve and they went to Cartha and defeated the hosts in a brilliant match 53-41. Jane Stewart led the way with four tries for Annan while Abbie Clark claimed a hat-trick and Correy Clark and Allana McWilliam also crossed. Mally McGeoch kicked four conversions. Annan head coach Colin Warrick said: “It was amazing to get the first ever Premier League win and morale boosting after an improved performance the week before against Watsonians. “The team are getting reward for the hard work they are putting in and they scored some cracking tries, including some from within our own half and involving good interplay between forwards and backs. In defeat, Cartha’s points came from tries by Ellie Sutherland (2), Sirri Topping, Louise Hood, Helen Dennison and Hayley Murray with Topping kicking 11 points. Going into their meeting at Bridgehaugh both Stirling County and Hillhead/Jordanhill were undefeated and something had to give. In the end it was Hills who came out on top 48-28 after a hard fought contest. Scotland cap Abi Evans led the way for the in-form Hills with an amazing five tries, backed up by other scores by Emma Barlow, Lucy Mills and Hannah Smith. Hills’ head coach Aird Jardine said: “We knew this would be the toughest test of the season so far. We where slow to start, but once we got going we scored some very well worked tries. “Some of the rugby we played in the first half was very enjoyable to watch with the ladies showing some great team plays that was proving that their hard work on the training ground is coming off. Stirling picked up a four try bonus point with captain Rachel Shankland going over twice and Siobhan Cattigan and Amy McGlashan - her first try for the club - also scoring. Heather Davis kicked four conversions and Shankland said: “We are disappointed to lose, but I think we showed in the way that we played we are a team that is improving. Watsonians were ruthless against Stewartry at Myreside. Newly capped Scotland Sevens player Bryony Nelson scored a hat-trick of tries in the 109-0 triumph with teenager Chloe McCue also getting three. Ailie Tucker, Lana Skeldon, Rachel Bragg (2), Molly Wright (2), Emily Armstrong, Nicola Nightingale, Sarah Bell and Charlotte Runcie (2) also went over with skipper Nightingale kicking 12 conversions. One of Watsonians coaches Dave Flynn said: “Fair play to Stewartry they stuck at it to the end but with no subs they were always going to struggle when we had a strong bench to come on. “Our guys were on form from minute one and so there were lots of standout performances, but most pleasing were the performances of the younger guys - we had three 18-year-olds and a 17-year-old on the park - who were all excellent. The Corstorphine Cougars-Wanderers Women’s match was not played. 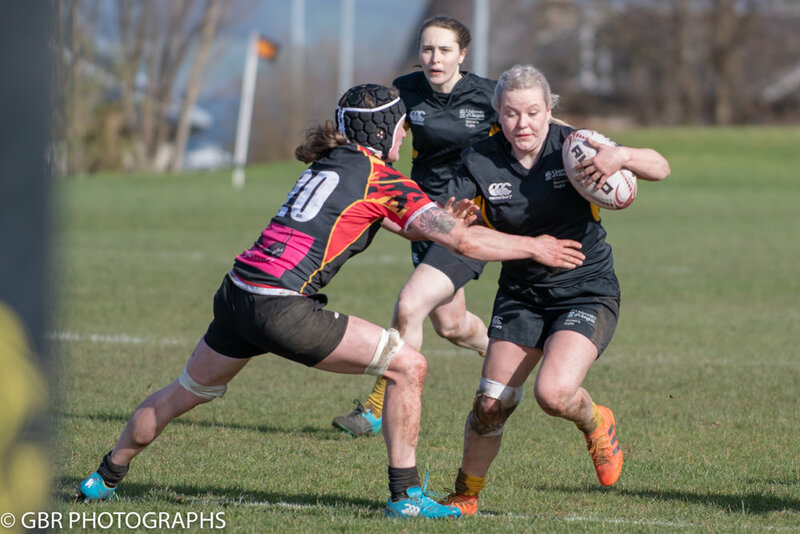 Hillhead/Jordanhill warmed up for their mouth-watering top of the table clash with Stirling County this coming Sunday with a dominant victory over Corstorphine Cougars at the weekend. County were not in action due to Wanderers Women being unable to fulfil their round four fixture. That meant that County were handed a 28-0 victory by the league organisers to move them onto 20 points from a possible 20 to sit second. And in Glasgow, league leaders Hill/Jills were moving onto the same points total thanks to a 94-14 triumph against Corstorphine. Scotland Sevens star Abi Evans led the way with four tries while Hannah Smith and Emma Barlow both chipped in with hat-tricks. Kirsty McConnell, Louis McMillan, Hannah Telling, Lucy Mills, Mairi McDonald and Amanda Jane also crossed on a good day for the hosts and head coach Aird Jardine said: “The first 10 minutes set the scene for the rest of the game with the team controlling the ball the and speed of play. “A combination of great individual tries and some excellent and well worked team tries made us too fast and strong for Corstorphine in the end. “The girls did not take the foot off the gas and continued to apply pressure throughout the game and the work that had been going on at training was really starting to show on the pitch. Corstorphine’s tries came from Tanya Griffiths and Kiyomi Honjigawa with the latter converting both. Watsonians are sitting third in the top flight table with 16 points after a bonus point win at Annan. The Edinburgh side came away with a 55-14 victory, Isla Craigie scoring a hat-trick of tries. Molly Wright, Emily Cotterill, Bryony Nelson, Sarah Bell, Alice King also scored as did Charlotte Runcie on her return from long-term injury. Captain Nicola Nightingale converted five of the tries. Coach Scott Nightingale said: “The first half was a bit scrappy and you could see that the team had not played the week before, but in the second half they played well and scored some good tries. Abbie Clark scored two tries for Annan, both being converted by Mally McGeoch. Cartha Queens Park are fifth in the table after the showed great fighting spirit to defeat Stewartry 26-24 on the road. The hosts went ahead 17-0 in the first period, but Cartha regrouped and took a close bonus point win thanks to tries from Samantha Djoh (2), Ellie Sutherland and captain Mary Lafaiki. Sirri Topping converted three of them. Stewartry picked up two losing bonus points thanks to tries from Claire Manson (2), Kirsty Yates and Joanne White with Manson and Lizzie Ballentine slotting conversions. Andrea Gaffney led the way with four tries as Stirling County made it three bonus point wins from three outings on Sunday. Having already beaten Annan and Watsonians, Stirling went into the home clash with Stewartry in fine fettle. 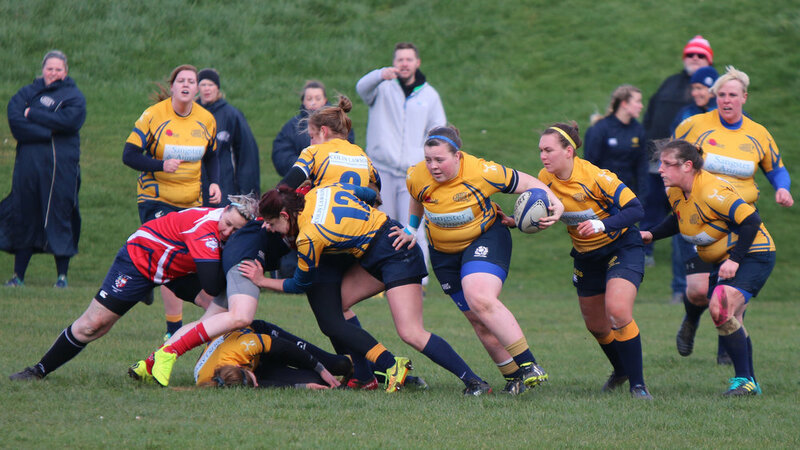 And Gaffney was on fire along with captain Rachel Shankland, the latter bagging three tries, to make sure that the result was never in doubt at Bridgehaugh. Other try scorers for the victors were Kerry Johnson and Scotland cap Siobhan Cattigan. Heather Davis kicked four conversions and Cattigan one in the 55-17 win. Stewartry battled hard and their points came from Claire Manson (two tries and a conversion) and one try by Chloe Johnstone. Stirling head coach Rob Storey said: “We expected Stewartry to have some big running forwards and planned to defend close in and then attack them out wide. Corstorphine Cougars have now won their last two outings after a 50-14 win over Cartha Queens Park. Vanessa Hagen and Caitlin Harvey both continued their great starts to the season with two tries apiece while Leanne Neary also grabbed two. Emma Turner and Kiyomi Honjigawa also went over with the latter kicking five conversions. Corstorphine head coach Eric Jones said: “We set out to play some open attacking rugby, however, Cartha did well to disrupt us at the breakdown and around the contact area. “We looked a little eager in the backs which is understandable after scoring 10 tries last week. Sirri Topping and Ellie Sutherland scored the tries for Cartha with two conversions by Lou Smith. The Watsonians against Wanderers Women and Hillhead/Jordanhill against Annan matches did not go ahead. In both circumstances the away teams forfeited the fixture with Scottish Rugby handing the respective hosts 28-0 results. That means that Watsonians are in third place with 11 points with Hills top - just ahead of Stirling on points difference - after three rounds. Hillhead/Jordanhill and Stirling County remain unbeaten after the second round of fixtures in the Tennent's Women's Premier League. With domestic women’s rugby in this country to be reshaped from 2019 - Cup competitions will be played from March culminating at the end of April, sevens competitions will keep their traditional place in the calendar in May and June and then league fixtures will kick-off in August and run until the beginning of December - this year’s top flight campaign is short and sharp. And on Friday evening last year’s champions Hills made it two wins from two with a 42-7 away win against Cartha Queens Park. 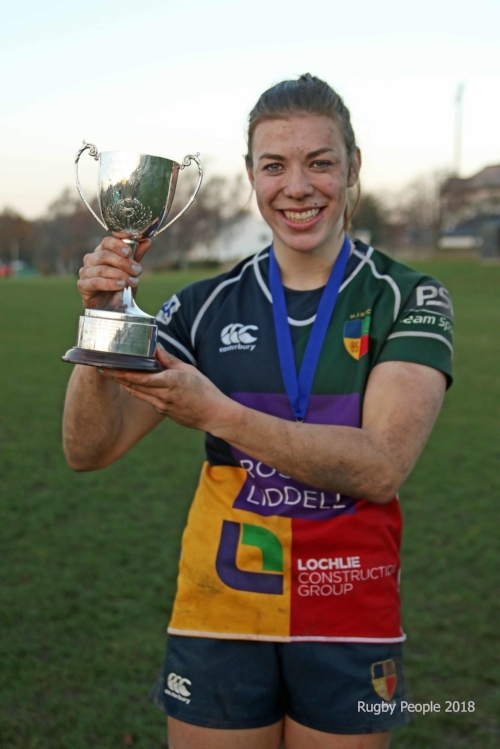 While her sister Louise was in Russia performing well with the Scotland Sevens team, Siobhan McMillan was leading the way for Hills with a hat-trick of tries. Stella Kyalikunda, Jenny Johnstone and Juliet Ross also crossed with Amanda Jane kicking all six conversions. Hillhead/Jordanhill coach Aird Jardine said: “Cartha gave us a very tough game. “However, after the first 10 minutes the ladies upped their game and work rate and put in a huge shift in defensively and in attack to get the win. Cartha put in a gutsy showing and their try came from Christine Belisle with Louise Smith converting. And Stirling County also have two bonus point wins from two after they backed up their opening victory at Annan with a thrilling triumph over Watsonians on Sunday. In the end County bounced back from a slow start to come out on top 24-21 in the contest of the season to date at Bridgehaugh. The home side’s four tries came from Katie McIlwraith, Rhonwyn Spence, Siobhan Cattigan and Andrea Gaffney with Heather Davis kicking two conversions. County captain Rachel Shankland said: “There was a big crowd in attendance to cheer us on and It was a hard fought and intense match. The visitors tries - as they picked up a losing bonus point - came from Molly Wright, Anna Forsyth and Emily Cotterill. Lana Skeldon kicked three conversions. “We had the better of the first half, but County upped things after the break,” said coach Dave Flynn. Also on Sunday Corstorphine Cougars played their first home game of the campaign and defeated Annan 62-5. Vanessa Hagen was the star of the show with four tries for the Edinburgh outfit with Leanne Neary and Caitlin Harvey both going over twice. Gillian Inglis scored one try with Kiyomi Honjigawa having a great day with a try and six conversions. Assistant coach Lorna Murdoch said: “It was a physical game, but when we were able to recycle fast ball we played our best rugby. Annan’s try came from Abbie Clark while Jane Stewart’s amazing streak of scoring in 26 consecutive league games came to an end. “The steep learning curve for us after promotion continued against a good Corstorphine side,” Annan coach Colin Warrick stated. Meanwhile, with Wanderers Women’s future still being sorted out they went to Stewartry and played a friendly. For league purposes Stewartry were handed a 28-0 victory. Stirling County, Hillhead/Jordanhill and Watsonians all posted victories in week one of the Tennent's Women's Premier League 2018 season. With domestic women’s rugby in this country to be reshaped from 2019 - Cup competitions will be played from March culminating at the end of April, sevens competitions will keep their traditional place in the calendar in May and June and then league fixtures will kick-off in August and run until the beginning of December - this year’s top flight campaign will be short and sharp. Indeed from now until October 14 the teams are due to play each other once before the split. Everyone is battling to get into the top four as a result and fledgling leaders County certainly made an impressive start away to newcomers Annan. They came out on top 70-12, Scotland cap Siobhan Cattigan leading the way with three tries with Katrina Roszynski also bagging a hat-trick. Captain Rachel Shankland scored two with Katie McIlwraith, Lyndsay O’Donnell, Jodie Hutton and Debbie Falconer also opening their accounts for the season. Shankland said: “This was a really good start for us as we have a few new players and a few players who are playing in new positions. For Annan the fact that they are even at this level shows the great work that has been put in at the club to grow the women’s game. They know this a big step up, but certainly will not shirk any challenge and coach Colin Warrick said: “It was a big test first up to play a well-drilled County side, but the girls tackled their hearts out and managed to string some good attacking phases together. Annan’s tries came from Jane Stewart and Allana McWilliam with Malvina McGeoch kicking a conversion. Last year’s champions Hillhead/Jordanhill welcomed Stewartry to Glasgow and won 41-7. Kirsty Reid led the way with two tries for the victors with Amanda Jane, Hannah McHugh, Francesca Wood, Siobhan McMillan and Lizzie Willis also opening their accounts for this term. Jane added some conversions. Iona St Joseph scored Stewartry’s try with Claire Manson converting. At Myreside, Watsonians battled hard to defeat Corstorphine Cougars 30-15. Lana Skeldon, recently awarded a Scottish Rugby contract, scored two tries for the hosts with Rachel Bragg and Nicola Halfpenny also crossing. Halfpenny added a penalty, a drop goal and two conversions. “The weather was a bit of a challenge, but we lost a couple of scrappy games like that last season so to get up and running with a win is pleasing,” said Watsonians coach Dave Flynn. Caitlyn Harvey was impressive for the Cougars and scored two tries with Tanya Griffiths also scoring. The Wanderers Women-Cartha Queens Park match was not played.